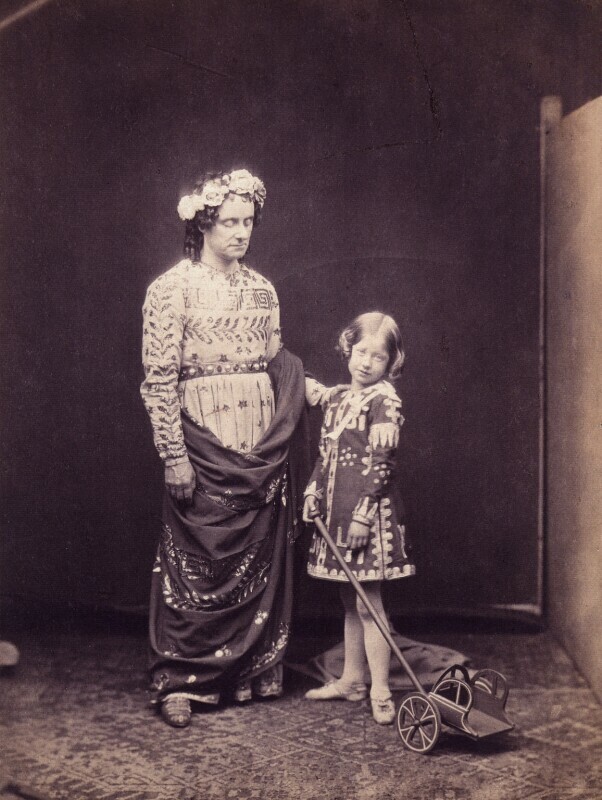 This photograph represents Ellen Terry on the occasion of her stage debut, as Mamillius in a long-running production of Shakespeare's The Winter's Tale at the Princess's Theatre, London. She is shown with Charles Kean, the leading actor-manager of the period, who played Leontes. Terry performed her role 102 times, and a review in The Times described her performance as 'vivacious and precocious'.